This is now our forever cupcake/cake place. Everyone at Patty’s is so nice! We went in to do a cake tasting for our wedding and Phillip was so nice and informative. We left our cake tasting with cupcakes because the flavors we had tried were so good. The frosting on the cakes isn’t overly sweet and the cake is always moist and they will also let you customize your cupcakes if you want to. Everything went smoothly and our wedding cake and cupcakes were perfect. We have gone back multiple times now to buy cupcakes either for occasions or just because we were in the mood for cupcakes and they never fail. Patty’s cupcakes is one of my favorite places to go and pick up cupcakes for my family. 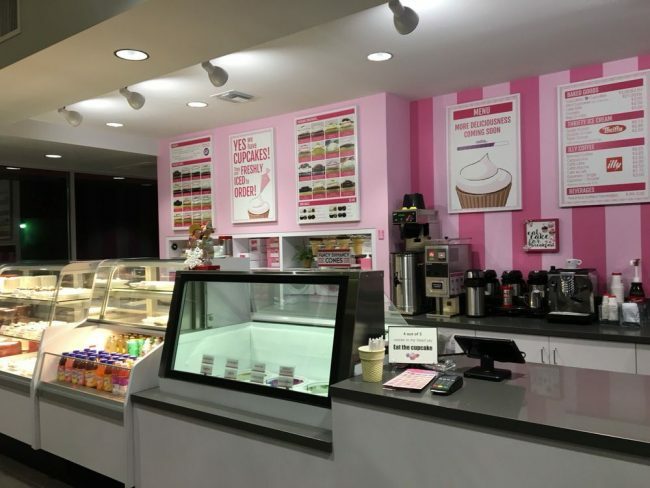 The store is cute; atmosphere pink and pretty with tons of cupcake options. She even has an online ordering system that’s easy to use. Highly recommend these cupcakes they are top quality. Patty’s Cakes was perfection from beginning to end! Their service and cakes are unparalleled and totally reasonable. We are So happy we chose Patty’s Cakes to provide the dessert for our wedding! The process of setting up a tasting was so easy and we ended up choosing a small cutting cake and 4 different cupcake flavors. Our guests couldn’t stop raving about how amazing everything tasted and were asking where the cupcakes were from! Everything was amazing – I just wish I had time to eat more! If you’re trying to find a dessert vendor, give them a try! I love how light (in both density and sugary) the frosting was. I think that their frosting is something new compared to all the heavy kinds we are accustomed to. The service and patience with our indecisiveness made it a very nice experience, too. Long overdue review. It’s almost been a year since my wedding day. Amazing Service and amazing flavors ! Patty’s cakes had done an amazing job for the big day. The guests were completely satisfied! The process was smooth and made wedding planning easy.